Some might think it’s too early to put Mayfield on this list, but I’m more than happy to take that risk. 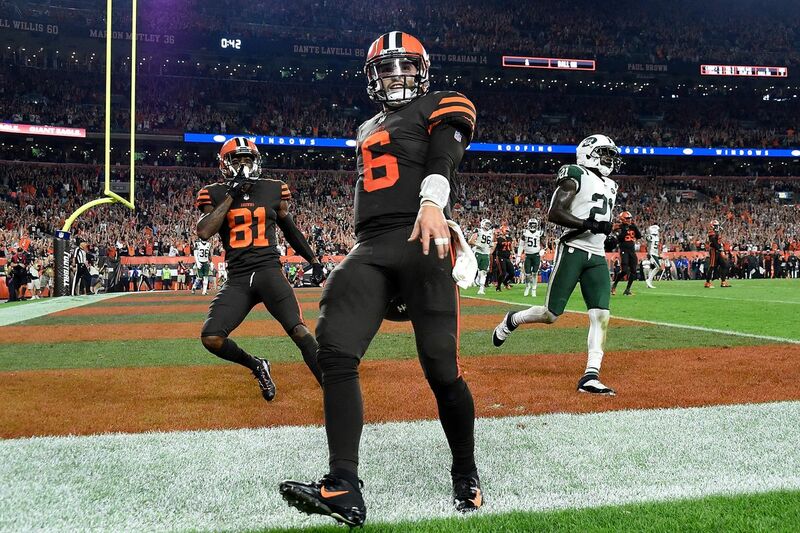 He just completed one of the more impressive rookie years in history, setting the record for rookie TD passes, helping Cleveland go from 1 win in two seasons, to 7 wins this year. I love his accuracy, as well as his ability to scramble in the pocket while continuing to look to throw downfield, and of course, he comes with a lot of swagger. Also, Mahomes is an elite QB just two years into the league. Watson is in most people’s top 10s after year two as well. Wentz was an MVP candidate in his second year. These young QBs are impact players quicker than ever before. Mayfield should continue to grow as a player, and while his cockiness is sometimes over the top, I think confidence is a necessity for any top QB. Just two season ago, Ryan was the MVP of the league, and had a 28-3 lead in the Super Bowl. Since then, seemingly everything has gone wrong for Ryan and the Falcons. They lost that game in overtime in heartbreaking fashion. The offense took a big step back the next year with offensive coordinator Kyle Shanahan leaving to coach San Francisco. This season, the team was never in contention, finishing the year at 7-9. I still believe in Ryan, though. He’s shown that in the right situation, he can be among the elite NFL QBs. He was also sneaky good this year, with Atlanta scoring the 10th most points in the league and Ryan posting the 4th highest passer rating in the league, with 35 TDs and 7 INTs. I think Atlanta is a bounce-back candidate next year, and Ryan will show himself to be worthy of a top 10 spot. This season Wilson passed for a career high 35 TDs, tied a career low with 7 INTs, plus a career best 110.9 passer rating. Another plus- he’s always healthy. There aren’t many problems with his game. There was the article that came out early in the season about the defensive players not liking him and feeling like Pete Carroll gave him special treatment, so that’ll be something to monitor as he moves along in his career with new teammates. There’s also this issue- Seattle’s been at their best when asking less from him. In his Super Bowl winning playoff run, Wilson threw the ball just 68 times in 3 games, with 3 TDs. In his biggest moment as a passer, he threw the game-clinching interception the next year to Malcolm Butler. In finding success this year, Seattle threw the ball 126 times less than last year. Wilson threw for over 300 yards just once. 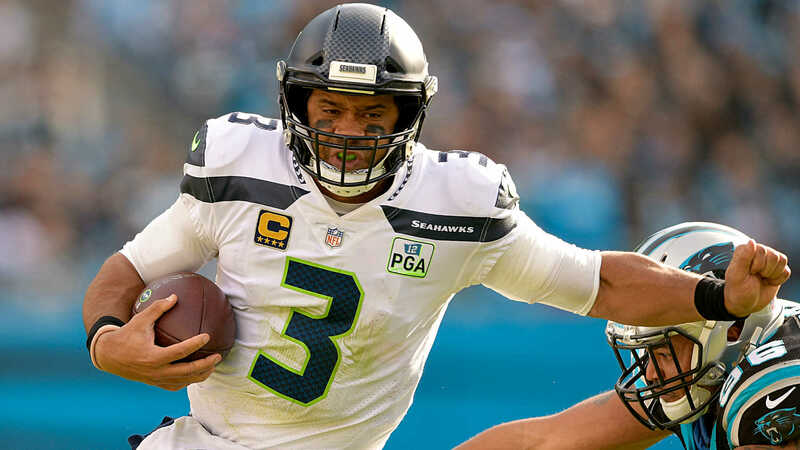 He has a lot of great things about him, and Seattle is smart to try to win with a balanced attack and strong defense, but I do think it takes away from Wilson at least a little bit, given the fact that he threw the ball the 20th most of any QB, and in Seattle’s biggest wins, it’s typically been the run game and defense that has led the way. Last year, Watson missed the second half of the season, ruining what was an unbelievable start to his NFL career. He started slow this year with 3 straight losses and at least 1 interception in 6 straight games but then came on strong, helping Houston make the playoffs and throwing just 2 INTs compared to 17 TDs in his last 10 games. A dual-threat, he also ran for 551 yards and 5 TDs. I think he was a case of overthinking in the drafting process. He was a beast at Clemson, but people wanted to pick his game a part. He ended up going 12th, and Houston could not be more thrilled. In 22 career starts, Watson had a passer rating over 100 and 52 total TDs. Putting Brees at 6th is lower than most would have him. He’s one of the greatest to ever play the game, the all-time leader in passing yards and competitions. This season he had a passer rating over 115, best in the league. He’s a big-time competitor, great leader and is extremely intelligent. So what’s the issue? In the ladder part of this year, Brees looked a lot like Peyton Manning when he approached the end. Well, not Manning in his last year where he was a shell of his normal self. More like the year before that, where Manning put up big numbers, but regressed as the year went along. The issue is the same with both guys- arm strength. They looked worn down by the end of the year. Brees looked to have a touchdown on the first play of the Philadelphia game, but he underthrew it. 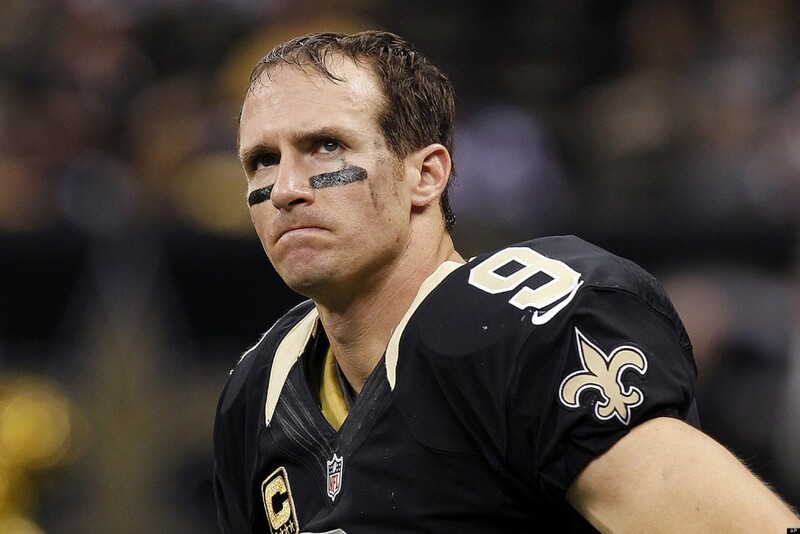 He had several bad throws in the Rams game that did not look like normal Drew Brees. In his last 6 games on the year, he threw 7 TDs, 5 INTs, and the Saints averaged just 21.2 points per game. As mentioned, Brees still has a lot going for him, but I do worry about him wearing down and lacking arm strength late in the year. All aboard the Goff hype-train. I’m of the belief that he has been disrespected for the most part during his NFL career. After year 1, he was a bust. After year 2, he was a system QB. 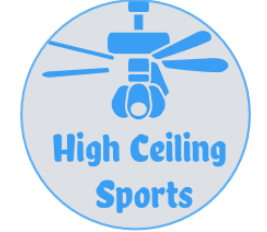 He’s finally being recognized as a legit high-caliber player, but he still doesn’t receive the attention he deserves. Back to back seasons with a passer rating over 100, leading the Rams to the #1 offense over that time. He’s had plenty of big-time performances, including the Monday Night classic against the Chiefs when he outdueled Mahomes, and most recently against New Orleans in the NFC Championship game. I can’t stress how impressive that performance was. That had to be the most hostile environment I’ve ever seen. At one point he ran across the field to tell his receiver the play due to the noise level. He ended up leading his team back from down 13-0. He became the youngest QB to ever win the NFC Championship. He made some great throws, not just “system QB” plays. Goff is a stud. Luck’s main concern is his health- he missed all of last season. This year, hewas able to stay healthy and looked better as the year moved along. I’ve always been underwhelmed by the talent the Colts have surrounded Luck with. Everything around him was so “meh.” As tough as it was for Indy to be without him for all of last year, it turned out to be a blessing in disguise. They struggled mightily as everyone knew they would, but then turned their high 1st round pick into a still very high pick, plus three 2nds. They hit a few of their draft selections right out of the park in drafting Quenton Nelson and Darius Leonard. Then, as I mentioned, Luck got better as the year went along, leading Indy to playoffs with a 9-1 finish, throwing for 23 TDs and just 7 INTs in that time. Up until this year, he was number 1 on my list. Now, a few problems have come up to push him down a couple of spots. First, his health. It’s not as if he’s been an example of poor health, but he missed 9 games last year, and then was hurt in the 1st game of this season. While he played through it, he didn’t look like his normal self for much of the year. The other problem is his leadership. This can hard to judge because none of us are in the Packers locker room, but enough problems have come up for this to be mentioned. Greg Jennings called him out about this in the past. At times this year, he looked very much like a player who wanted his coach fired. His body language was noticeably bad. The last part of the equation is watching Brady win an MVP last season and this season make it to his 3rd straight Super Bowl, and Mahomes bursting onto the scene as this year’s likely MVP. Rodgers is still fantastic, those two have just been better. I think he’s the greatest arm talent this league has ever seen; if he meshes well with new head coach Matt Lafleur, he could very well jump back to number 1 on this list. Mahomes just completed one of the greatest seasons in league history- over 5000 yards passing and 50 TDs, leading the Chiefs to the #1 offense in the NFL and the #1 seed in the AFC. He’s highly likely to win the MVP. He also showed the playoffs isn’t too big for him, helping his team beat Indy and then, despite a first half struggle, helped his team comeback against New England, where a coin flip may have been the difference in him missing out on the Super Bowl. Oh yeah, he did this all in his 1st year as a starter. He truly is incredible- no look passes, left-handed passes, bombs to Tyreek Hill, big-time scrambling ability. He can do it all and has an entire career ahead of him to do it. Brady ranked just 12th in passer rating, and 10th in TD passes this season. The Patriots also won their least amount of games since 2009. He started this year with Edelman suspended. Amendola, Cooks and Dion Lewis were gone. Gronkowski wasn’t his normal self. Josh Gordon came, but them Josh Gordon left. Despite all of this, Brady and company figured things out when they needed to, like always. They beat up on the Chargers and then won in OT in Kansas City to make it to their 3rd straight Super Bowl. It’s Brady’s 9th Super Bowl overall. If I have 1 year to try to win it all, give me the guy who seems to make it to the big game every damn year.